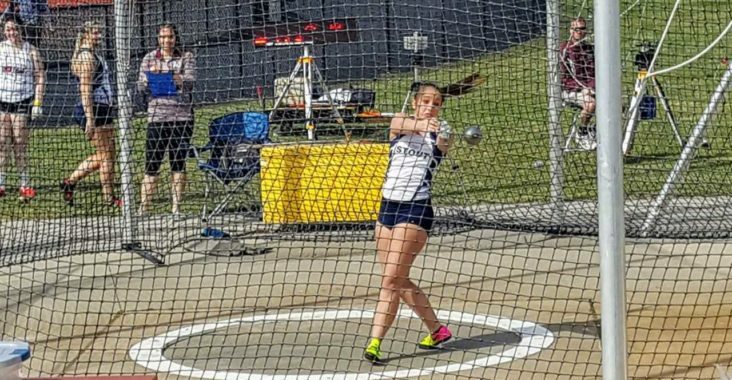 This issue’s student-athlete spotlight is Andrea Bertram, a senior on the University of Wisconsin-Stout women’s track and field team. Bertram is a psychology major and is from Fond du Lac, Wisconsin. Outside of school and athletics, I love to travel. This past summer, I spent two months in Europe, immersing myself in their cultures. I am planning on going back again this summer. I also love snowmobiling. An interesting fact about me is that I have two blind cats. Another is that I graduated as salutatorian from high school. I will be attending graduate school here at UW-Stout after graduation this semester. I will be in the M.S Applied Psychology program. I would play soccer. I grew up playing soccer and played up until my senior year of high school. I chose track in college to do something new. I enjoy hanging out at the MSC because I can hang out with friends and it’s also a good place to do homework. They also have great food. My favorite food of all times is KT mac and cheese. My favorite pro-athlete is Aaron Rodgers. He not only helped the Packers win a Super Bowl, but he also does a lot of charity work.